Throughout 2005 and 2006, various events were held to celebrate the fiftieth anniversary of the ordination of women in the Presbyterian Church as ministers of the Word and Sacrament, as well as seventy-five years of their ordination as elders and one hundred years as deacons. 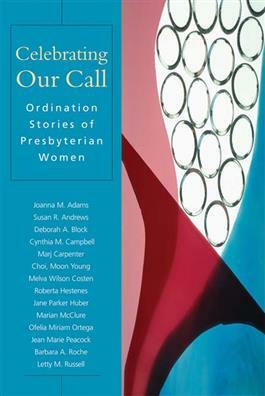 In this collection of insightful essays, well-known women from across the Presbyterian Church (U.S.A.) reflect on their personal journeys of ordination as church leaders. This historically significant book is ideal for clergy, educators, and church leaders and is the perfect resource for church libraries. Contributors include Joanna M. Adams; Susan R. Andrews; Deborah A. Block; Cynthia M. Campbell; Marj Carpenter; Choi, Moon Young; Melva Wilson Costen; Roberta Hestenes; Jane Parker Huber; Marian McClure; Ofelia Miriam Ortega; Jean Marie Peacock; Barbara A. Roche; and Letty M. Russell.